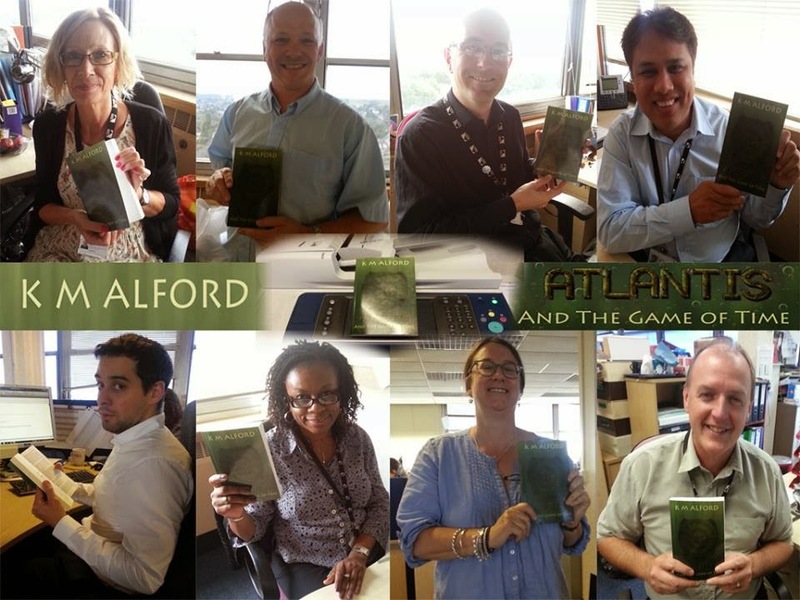 We'd like to wish Katie Alford, member of Greenacre Writers - Finish That Novel2; many congratulations. She has finished her novel and been published. When Katie first joined Greenacres and brought along some of her Steampunk writing for critiquing, it ended up Katie explaining how the writing should be read rather than the other way around. You may ask, as we did, What is Steampunk? Katie has been writing novels since she was 16 and is very excited to finally have one in print. Their goal is a single culture, a single history, threatening to obliterate all others, with peace forged only through oppression. From the dingy annals of human prehistory, a new culture emerges. Like the Atlantians, they too can travel through time, but these are no passive, desk-soft anthropologists, and they will not be satisfied with coexistence. They desire to absorb, to assimilate, and will crush any civilisation that stands against them. The Atlantians know the price of complicity is too high; they will not risk the annihilation of human advancement, culture, art, and freedom. Instead, they send their overworked operative, Professor Lokyne, and a select group of book-loving, academic activists to face this new enemy. Atlantis’s only hope is that they can employ their research and cultural integration skills to study their new enemy, find a weakness, and then strike from within. Only then can they hope to bring down this parasitic new civilisation and return the flow of time to its normal course. In this fast-paced, exquisitely detailed adventure, we follow the trepidatious group as it struggles across time and culture from ancient Egypt and Babylon, to China and beyond, exploring equality and the injustice inherent when one culture seeks to extinguish another. As well as a writer, Katie is also an artist and designed the trailer for her book. You can find out more about Katie here.